As she whizzes across the waves, the First 18 is nothing but sheer sailing pleasure. Whether you are cruising or racing, this small towable one design has all you need for endless enjoyment of the best sailing sites. 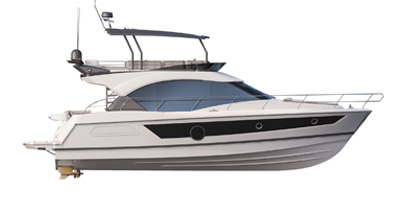 The habitable space under the First 18’s coachroof is amazing for a boat this size, making it perfect for coastal cruising. A user-friendly companionway takes you inside where the cabin has a 2.20 m long double berth and lots of clever stowage. A cockpit tent provides additional sleeping space. There’s an air of adventure about the First 18. Combining all the pleasures of dinghy sailing, her versatility appeals as much to expert regatta racers as it does to novices who dream of coastal raids with family or friends. The First 18 is just 5.5 m long, with a built-in centreboard and an ultra-light carbon mast. This makes it easy to tow. The boat can be rigged and launched from the beach or a slipway inside an hour, making it as simple to use as a light dinghy. With a deep draught of 1.50 m and optimised sail areas, the First 18 offers excellent performance even in light air. The boat is easy to control and very stable under sail. The First 18 is a certified member of the Osiris class, and is officially recognized as a one design by the Fédération Française de Voile (French Sailing Federation), so there will be countless opportunities take the lead in races. The starboard engine mount clears a passageway to climb aboard from the stern. As for the sun lounger on the foredeck, it is an ideal place to relax.